The horseshoe has always been considered an auspicious symbol and a charm believed to bring good luck. These gorgeous studs elevate the appeal of this popular pattern by adorning it with dazzling lab grown diamonds. The entire frame of these horseshoe earrings showcases pave set, eco-friendly diamonds that cluster together and shine like a thousand stars in the night sky. They also features screw backs for a comfortable fit. 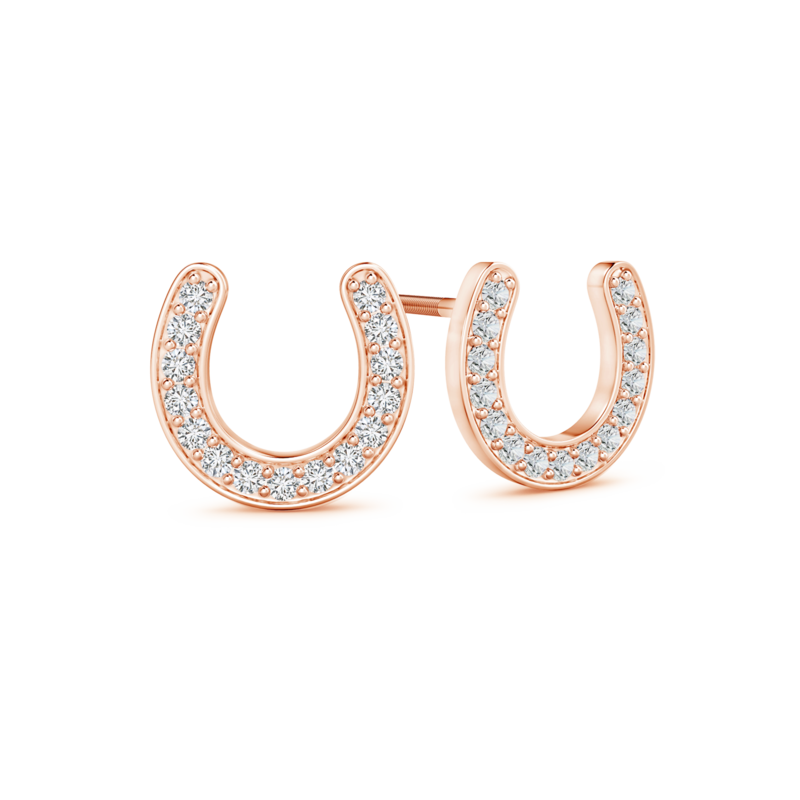 Crafted in 14k white gold, these lucky horseshoe stud earrings radiate elegance and versatility making them perfect for everyday wear.